This is a clear scam, and a very expensive one. Video footage of online application is given, and a profit of $10,000 is shown with a starting balance of $50. Videos can easily be repeated many times until they film the right one. I even tell people with my own videos, they are realistically not proof of anything. The exception is recorded public demos where there are witnesses. 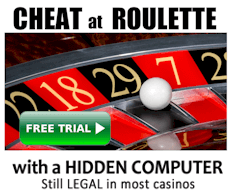 With this scam, you are asked to signup at different online casinos, and the system seller is paid a commission for the signup and/or your losses. 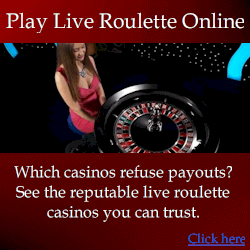 The seller claims you can only win at specific online casinos. This is not a new scam and there are many like it such as Andruchi. The difference with this one is you not only pay $2000 for a losing system, you are asked to sign up at specific casinos so the system seller can claim commissions on your signups. When you finally realize you’ve been duped, you wont receive a response to your emails. The seller also operates under the site at www.millionaireroulettesecret.com. VERDICT: Blatant fraud. Education and common sense is the best way to avoid these scams.